Arag-Alive!" achieves rapid cycling by preparing and seeding the substrate grain surfaces with a wide variety of marine bacteria, most in a spored state, including strains engineered for maximum waste reduction capacity. Some types of bacteria reduce nitrogenous waste by metabolic oxidation while others incorporate nitrogen into bacterial biomass during rapid growth. Since most species of bacteria are somewhat symbiotic, and tend to colonize a surface in succession, the process of cycling" an aquarium is facilitated by the close proximity of the immobilized species. Bacteria are maintained at a low metabolic rate by restricting access to certain limiting factors required for metabolism. The Eco Complete" freshwater products work in the same way, just with freshwater bacteria. 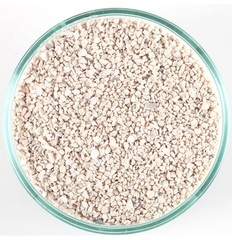 Special Grade Reef Sand - Grain Size 1.0 - 2.0 mm. 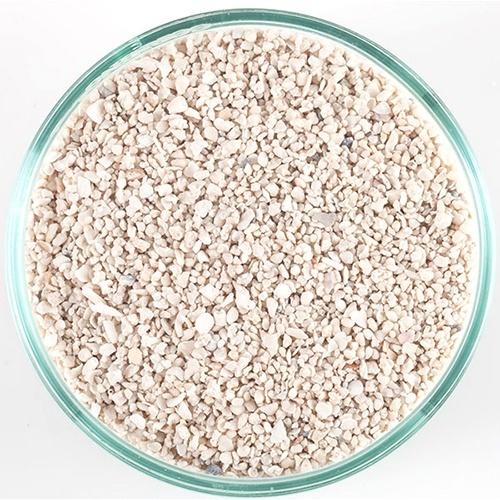 This coarse sand is 100% aragonite and has excellent diffusive properties. A very versatile product, use in a deep or shallow beds. A significant denitrator when utilized in deeper beds or plenum systems.